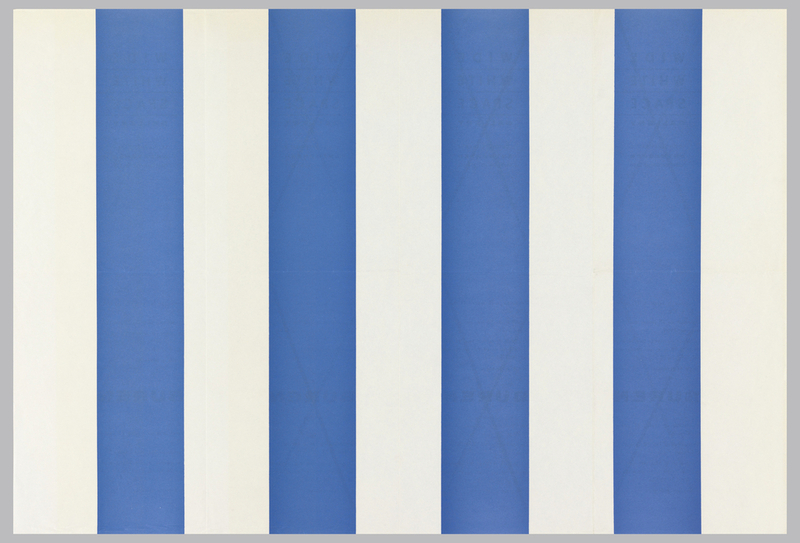 Conceptual artist Daniel Buren is known for his ongoing series of works featuring alternating white and colored stripes, 8.7 cm (3 2/5 in.) wide. These printed announcements for an exhibition in Belgium feature Buren’s signature stripes at full scale. Stripes like these are commonly seen on awnings and commercial signs in France. The evenly spaced stripes have an ambiguous figure/ground relationship; likewise, Buren’s work challenges the separation of works of art from their environmental and institutional setting. ← Have a Coke with Me?